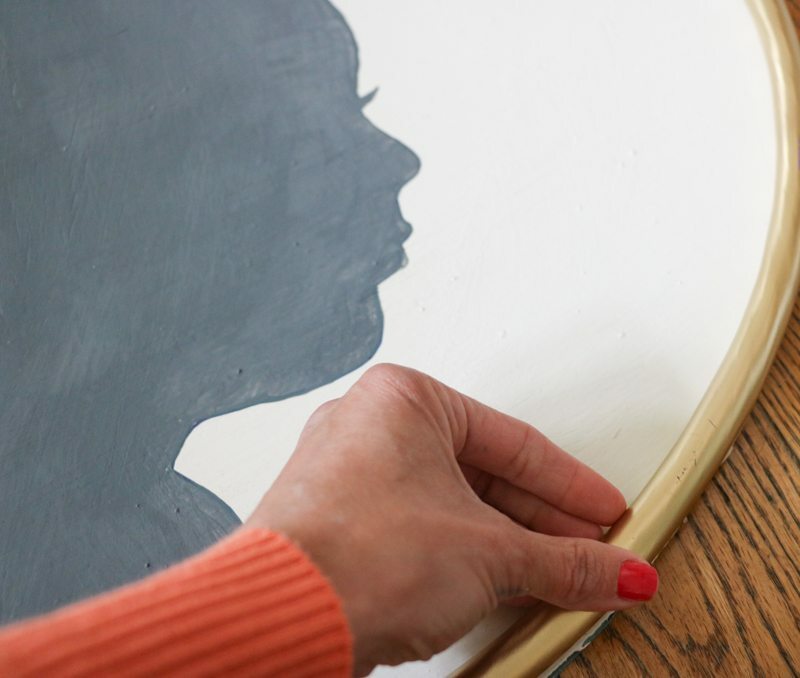 DIY Large Silhouette Art - Sincerely, Sara D.
I love silhouettes. They are timeless, sentimental and make great artwork for the home. 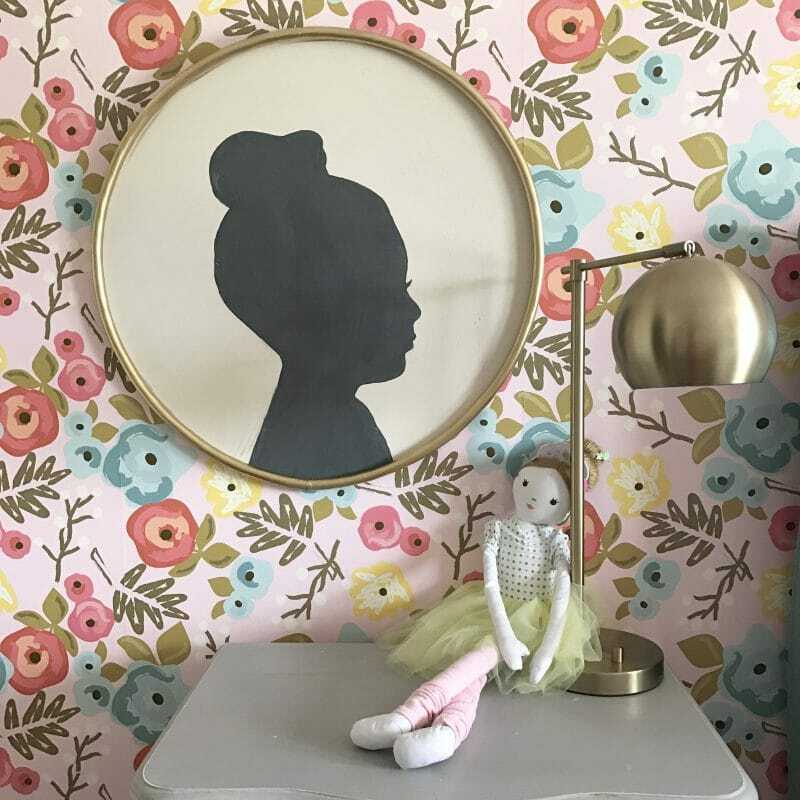 I created this large DIY silhouette for my daughter’s room (to see more on her room click HERE), and it only cost $3! To begin, a side profile photo is needed. Use a camera phone to take a profile photo and email it to yourself. I tried the old fashioned way of creating a silhouette with NO success. Between my daughter not standing still and my son moving the flashlight, I wasn’t able to trace the silhouette since it was constantly changing. Once the photo is emailed to yourself, open it and print it. It doesn’t need to be a great copy, I just used our black and white printer. Since my silhouette was so large, I printed mine across four 8.5 x 11 sheets of paper. This “tiling” process can be a little complicated. If you have Adobe Illustrator, create a document sized to however large you want your image (mine is sized to 17″ x 22″). The select print, and a box will pop up. At the bottom in “options” you should select “Tile” and your image will print out in different sections. If you don’t have Adobe Illustrator, here’s a tutorial I found on Pitter & Glink for printing large images using Microsoft Word. If you don’t have either program and want something larger than 8.5 x 11 inches, just send your image to a local printer or office store. They can print it fairly inexpensively as a black and white image on whatever size your prefer. 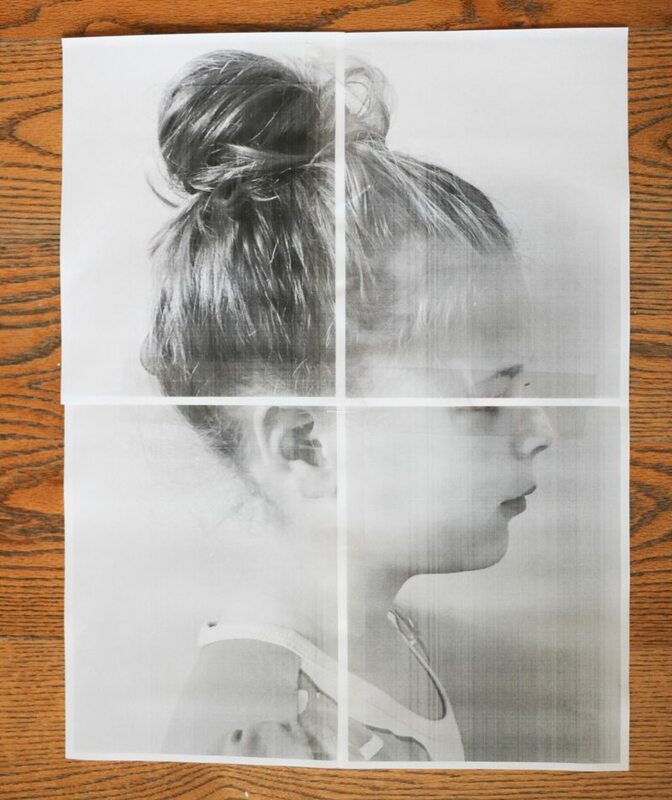 Once the image is printed, cut it out to create a silhouette. 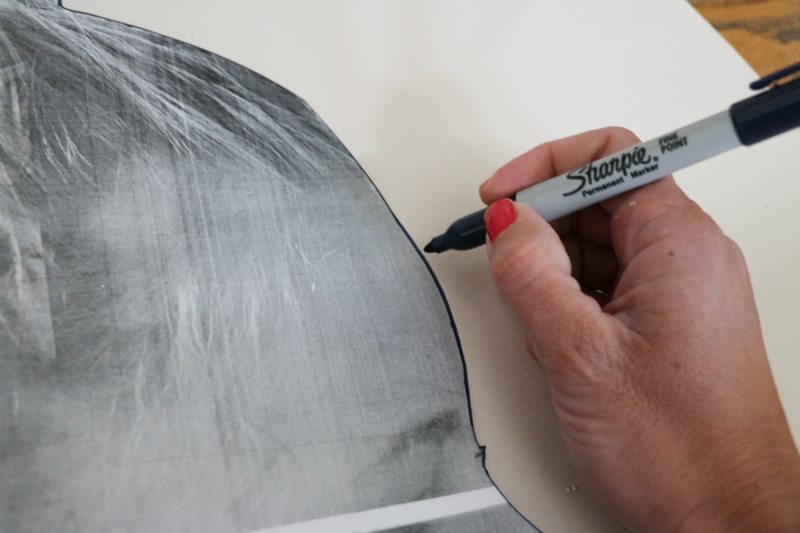 A piece of black (or other color) paper can be added behind to create a silhouette. Or, you can cut out the image and use it as a stencil like I did. 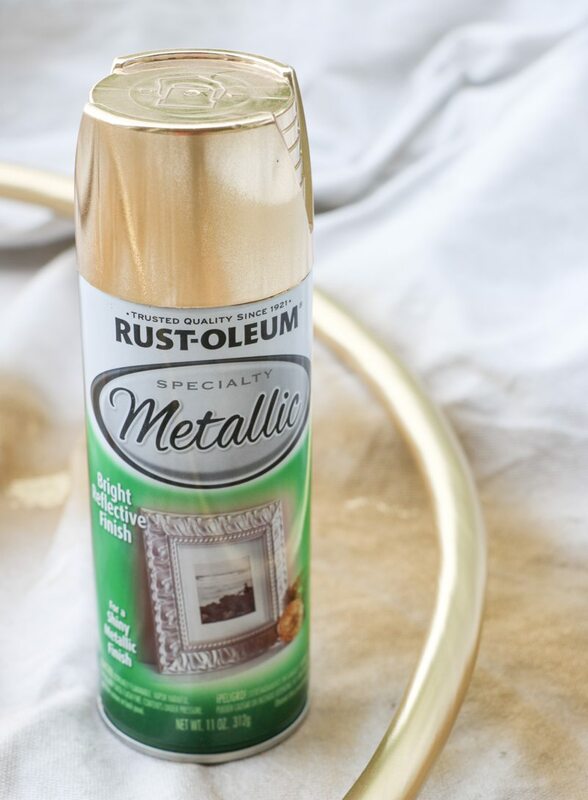 For this DIY art, I used an old box and a $3 hula hoop. 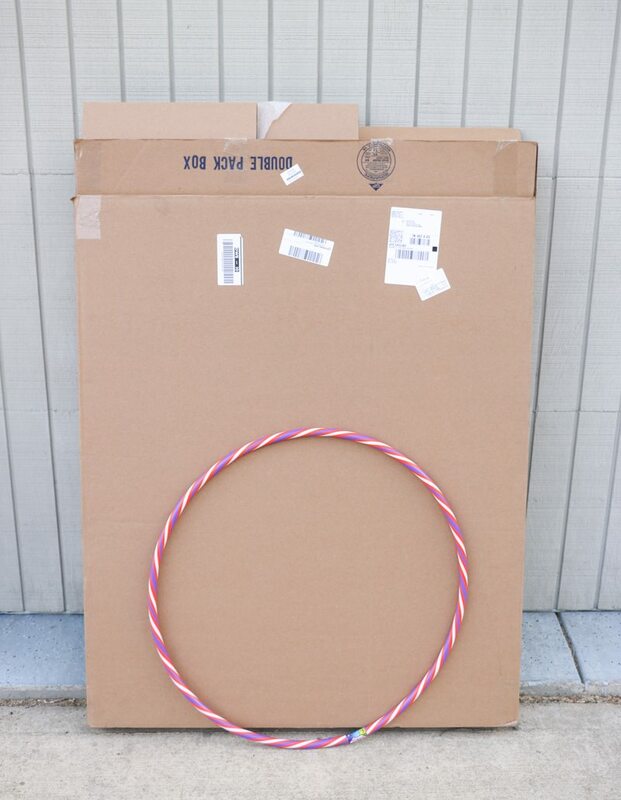 The hula hoop will be the frame for the art. 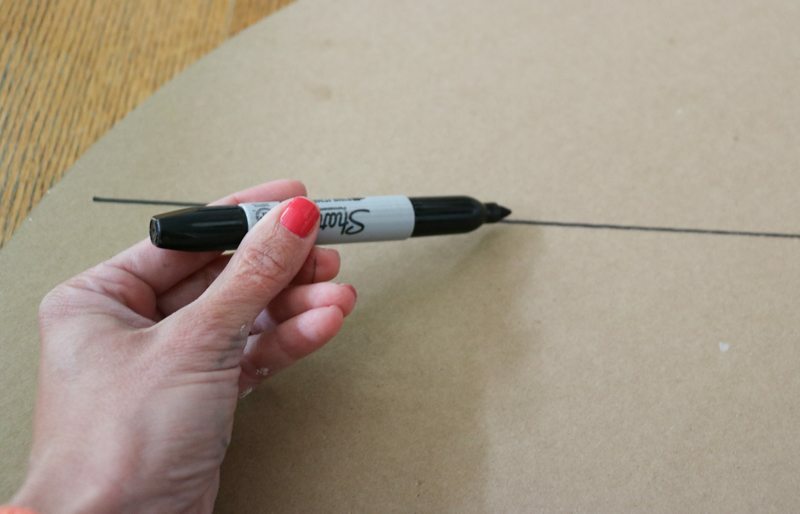 Use the hula hoop as a stencil and trace the circle on the cardboard. Carefully cut the circle with a knife. Paint the cardboard circle (I used a chalk-type paint). 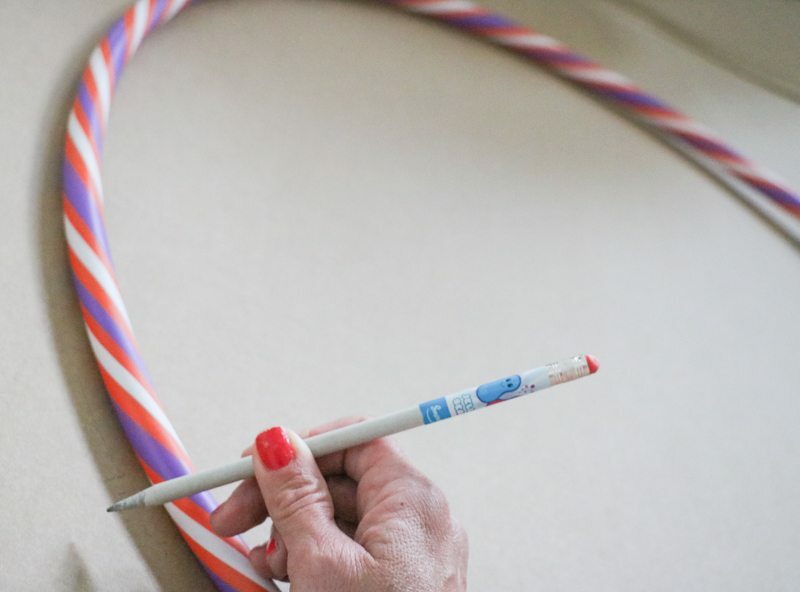 While the circle is drying, paint the hula hoop. 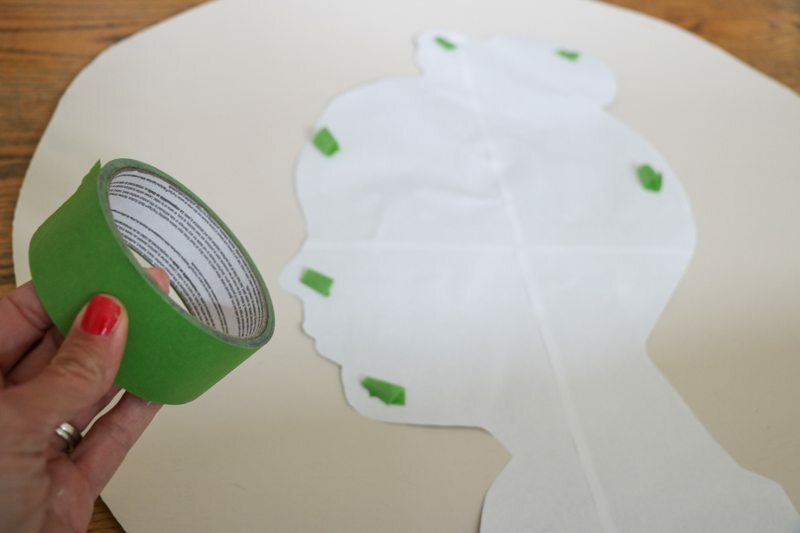 Once the circle is dry, add tape to the back of the silhouette. 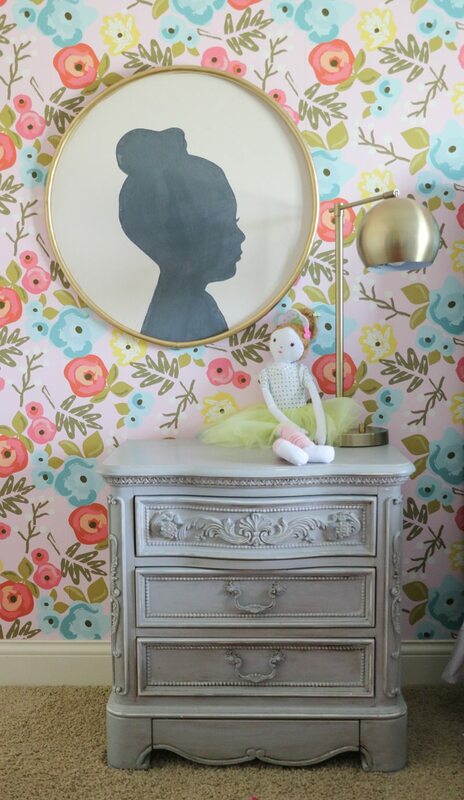 Place the silhouette where you want it to be and trace around it. 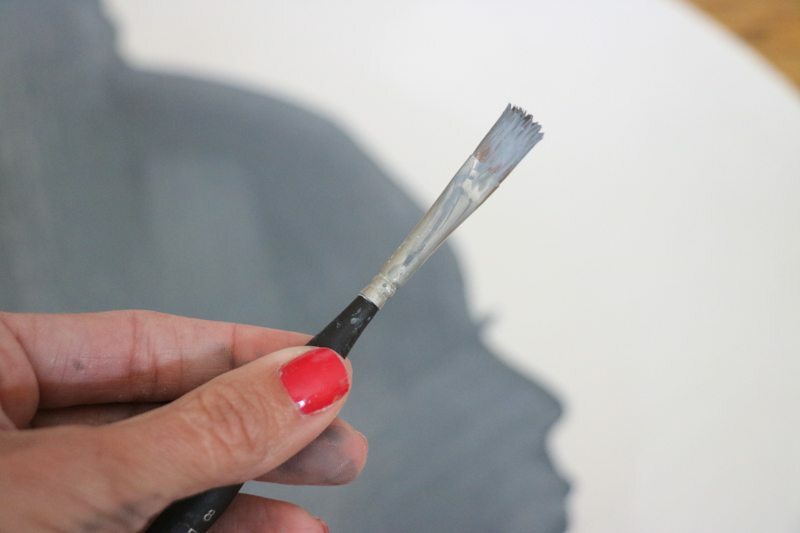 Once traced, paint the inside of the silhouette. 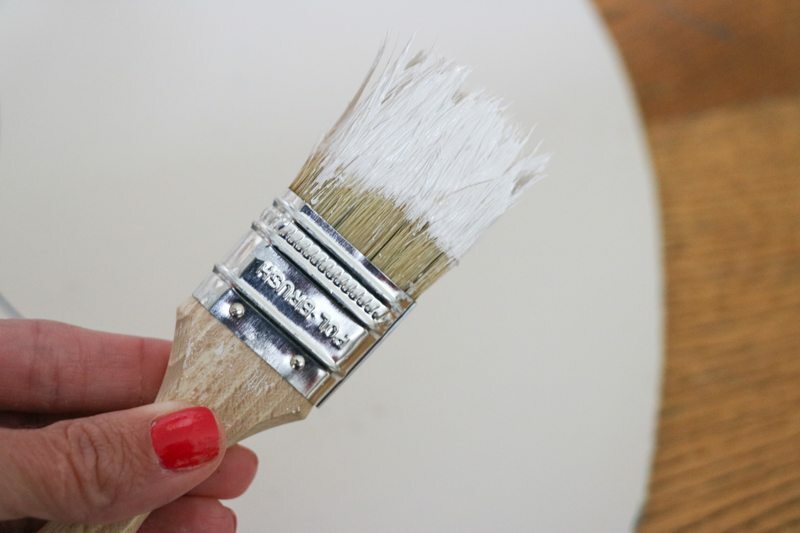 Use a small brush for the smaller areas. 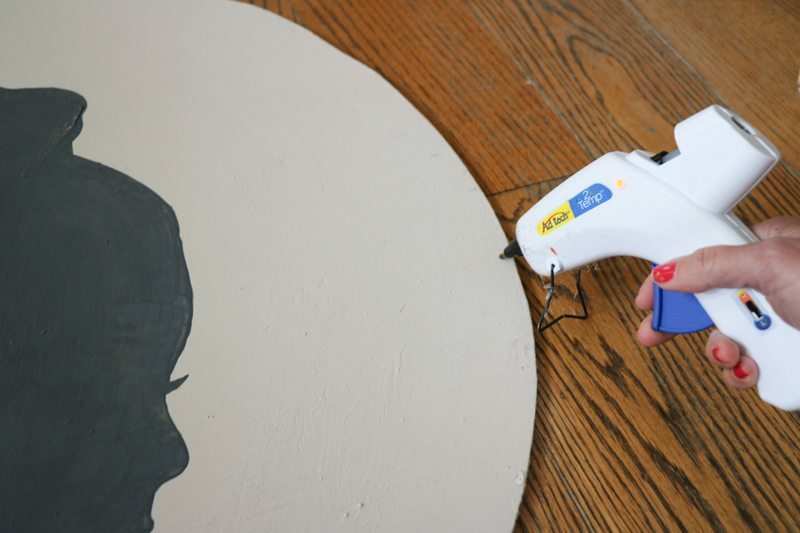 Once that paint is dry, add a line of glue around the circle. Add the painted hula hoop. Flip over the piece and draw a straight line in the upper third of the circle. 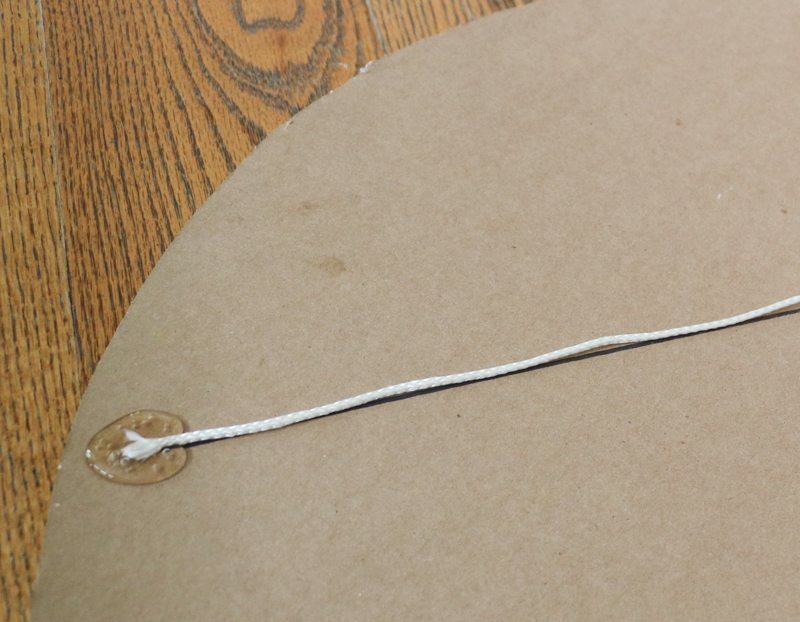 Glue a rope on either end for hanging. Flip it back over and enjoy! My little grandson has the sweetest profile. Oh I’d love to do this!! Even adapting it to a smaller hoop would be okay too. 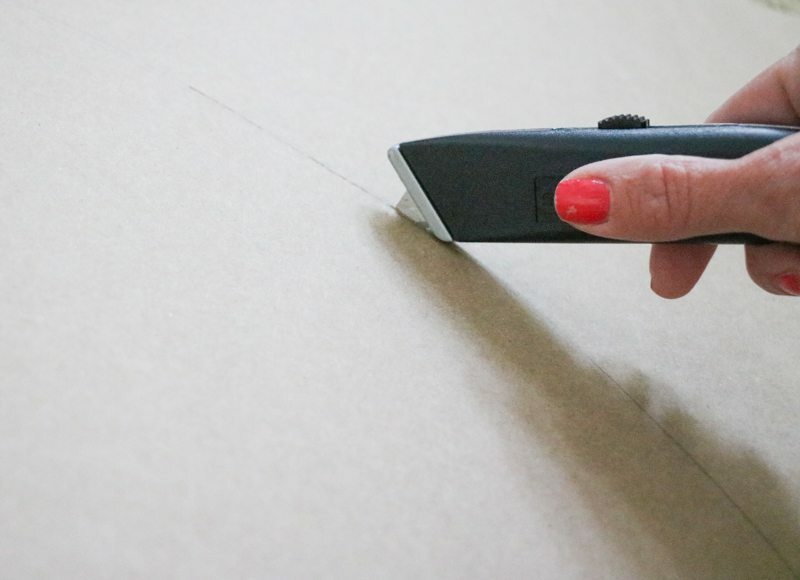 Easier than cutting on black paper too !! Thank you so much. You can also use free downloadable software to print oversized pictures. I happen to use Posteriza to create tiles for printing. 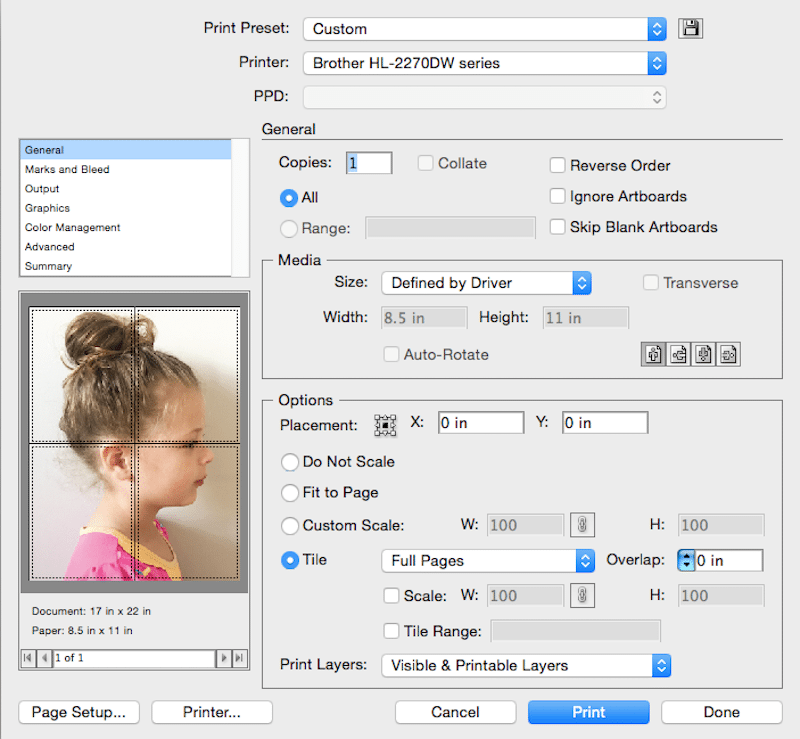 I’ve also found it easy to print tiled layouts using the print function options when printing from inside a pdf file. Thanks so much for the suggestion, Terry – super helpful! New subscriber due to your great ideas and bautiful home and family! 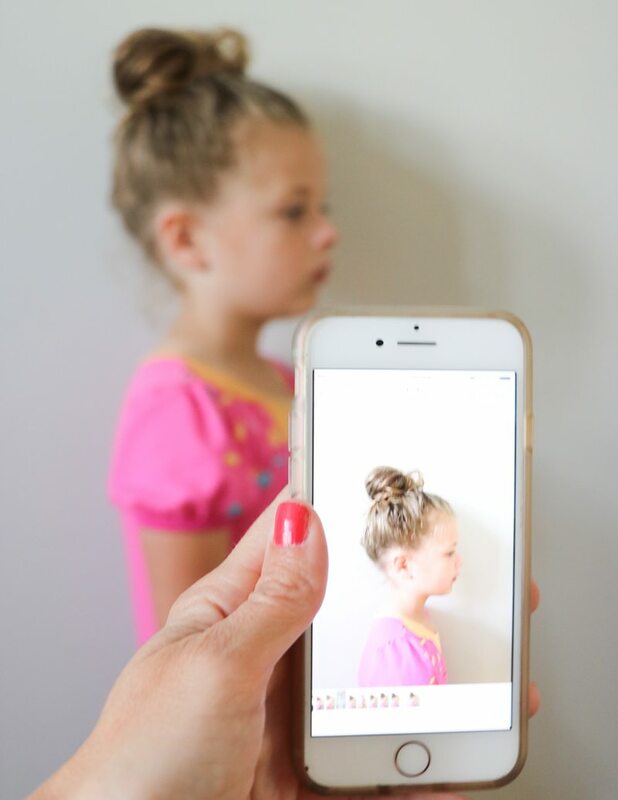 I might try the silhouette idea for my grandaughter’s profile. 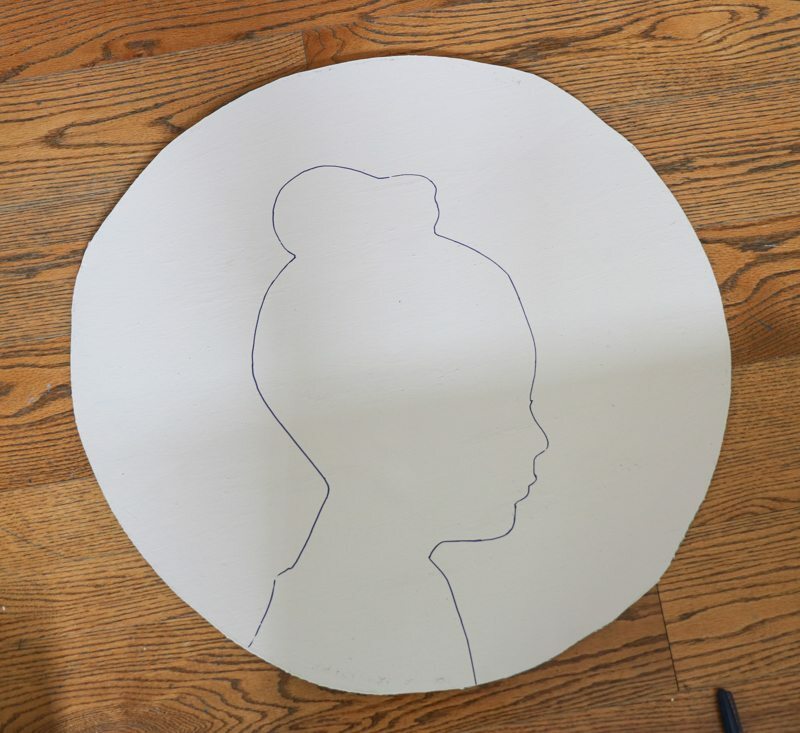 I have an oversized embroidery hoop to stretch with pretty fabric, and will use your instructions to trace her profile on black fabric to baste on to the backing. 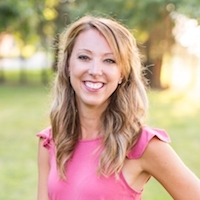 Hi Andrea, I’m glad you found me! 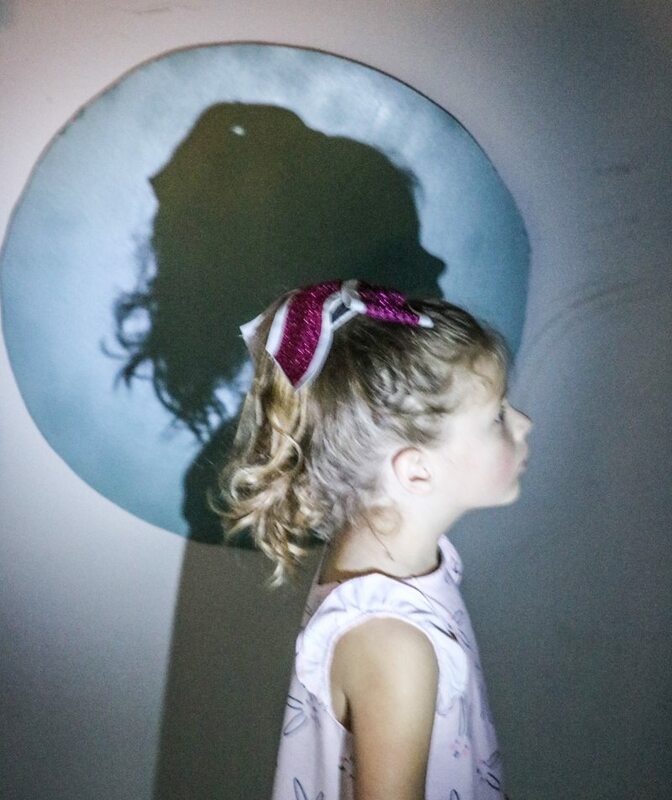 I hope your silhouette project goes well – I love your idea! Hi Andrea, I love this!!! What glue did you use? I used a glue gun! 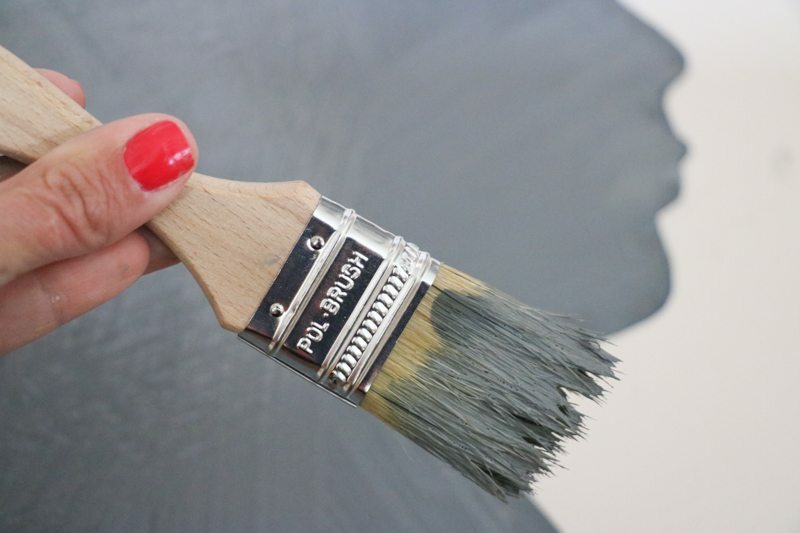 Hi what paint did you use? 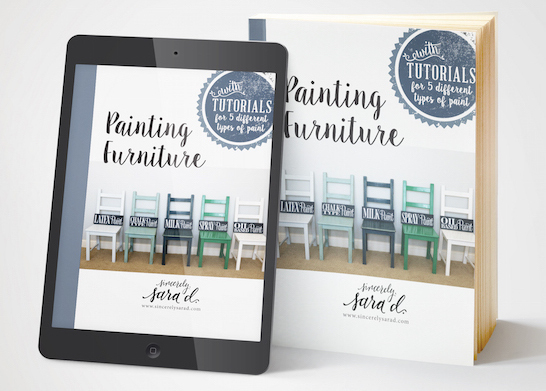 I think I used chalk paint and acrylic craft paint – only because that’s what I had on hand!